If you feel that way, you might just want to go ahead and check yourself right now. Thanks for writing me about my comments on my program regarding homosexuality. It might be worth noting that what I actually suggested is that we impose the same sanctions on those who engage in homosexual behavior as we do on those who engage in intravenous drug abuse, since both pose the same kind of risk of contracting HIV/AIDS. I’d be curious to know what you think should be done with IV drug abusers, because whatever it is, I think the same response should be made to those who engage in homosexual behavior. The bottom line here is that, biblically, those “who practice homosexuality” should come under the purview of the law just as much as those who take people captive in order to sell them into slavery. You express a belief in the Scriptures, and I trust your confidence in Scripture is not selective. If you believe all Scripture is inspired, then you are compelled to accept that legal sanctions may appropriately be applied to those who engage in homosexual behavior. Yeah. You see, these people do not believe in what the United States stands for. They are not patriots, because they seek to destroy our Constitution, which allows them to have their beliefs without harassment, but which seeks to provide equal treatment for all under the law. We’re not there yet, but we’ll get there. But “men” (I use the term loosely) like Bryan Fischer don’t value this country. They want nothing more than a land where they can take their backwards, knuckle-dragging, pigheaded, bigoted belief system and enshrine it as the law of the land, to be lorded over anyone who is not white, heterosexual, Evangelical Christian and male. 1. Homosexual behavior is not, in itself, conducive to the spread of HIV/AIDS. Why don’t you consult with a physician about that, and get back to me? 2. The words “men who practice homosexuality” are not in any grown-up translation of the Bible. Perhaps you should devote a little more time to studying the texts by which you claim to live. 3. There is no such thing as “an effective reparative therapy program.” You can find detailed information on the success rates of so-called “reparative therapy” and its effects at a website called, oh lookie here, Truth Wins Out. *But! I would argue that he is representative of the parts of those texts that confirm his stupidity and hatred. They tend to be found in literal interpretations of the Old Testament god. 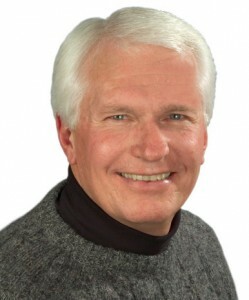 So I really don’t want to hear the cop-out about Bryan Fischer not representing Christianity as a whole. He does. He represents the parts of it that give him cover for his own fear of things that are different from him, or are perhaps too much like him.